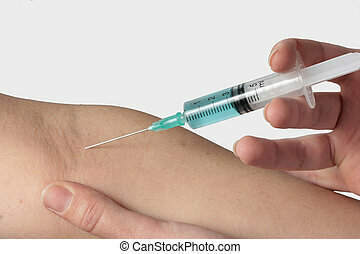 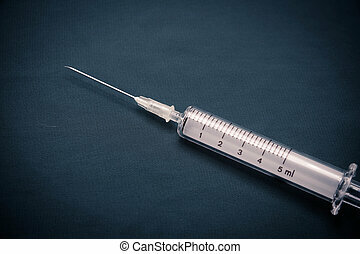 Medical vaccines. 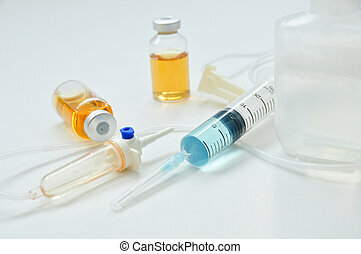 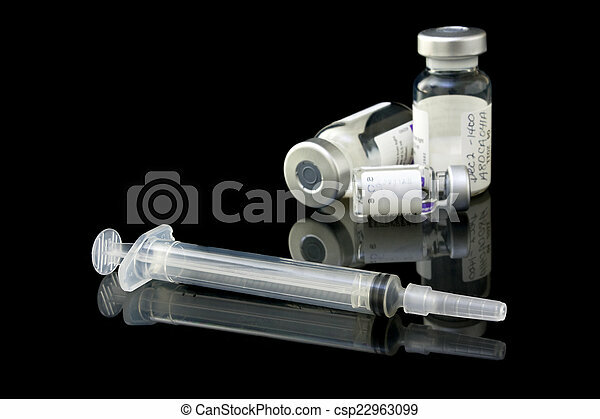 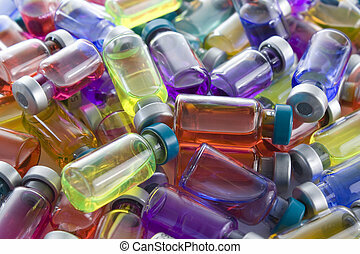 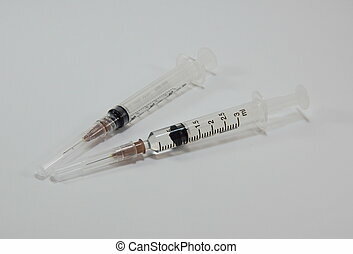 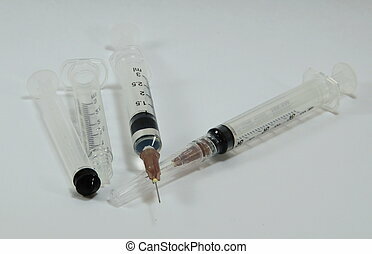 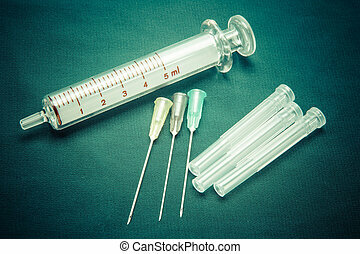 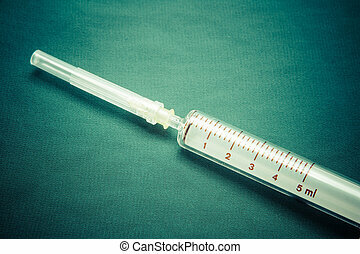 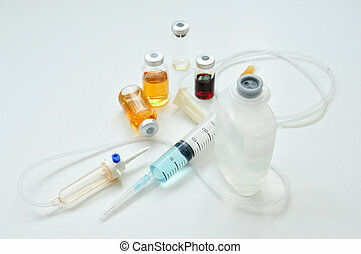 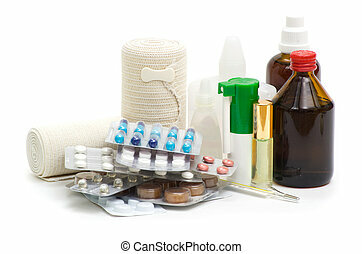 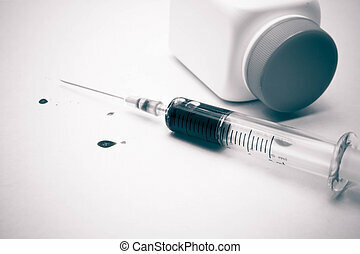 A set of medical vaccine vials and syringe on a black background. 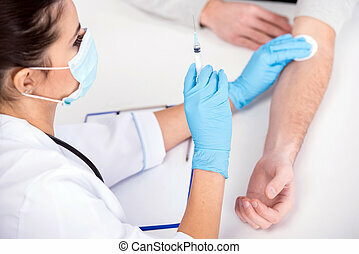 Doctor is making vaccination to the young man in medical room.